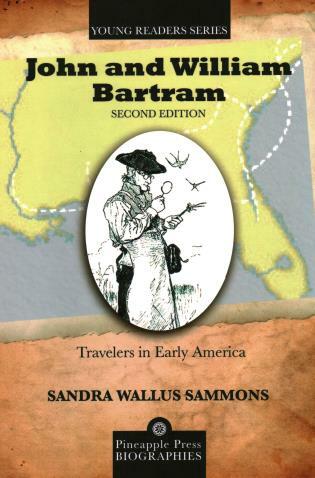 An exciting biography about the man who changed Florida's east coast with his hotels and his Florida East Coast Railway. Henry Morrison Flagler was already a millionaire when he first visited Florida in 1878. He liked what he saw. He came back and built railroads along the east coast so that others could more easily come. And he built grand hotels so that those who came had a beautiful place to stay. By the end of his long and productive life, he had built a railroad all the way to the very end of the Keys. It arrived in Key West in 1912. 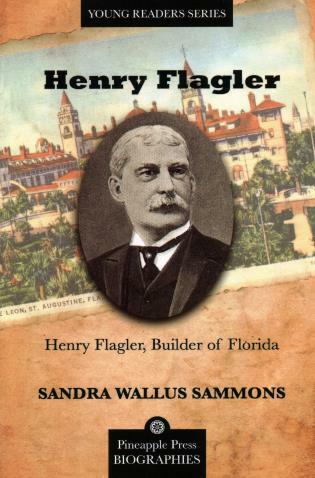 Henry Flagler was very determined and practical. He met all the great challenges he set for himself. Sandra Wallus Sammons was for many years a Florida elementary school librarian in Lake County. Learning of the dearth of books on Florida history aimed at fourth graders, she began writing biographies of Floridians who lived fascinating, inspirational lives. She has written all the books in the Pineapple Young Reader Biographies series: Marjory Stoneman Douglas and the Florida Everglades; Marjorie Kinnan Rawlings and the Florida Crackers; The Two Henrys: Henry Plant and Henry Flagler and Their Railroad; Henry Flagler, Builder of Florida; Ponce de Leon and the Discovery of Florida; Zora Neale Hurston: Wrapped in Rainbows; and John and William Bartram: Travelers in Early America.